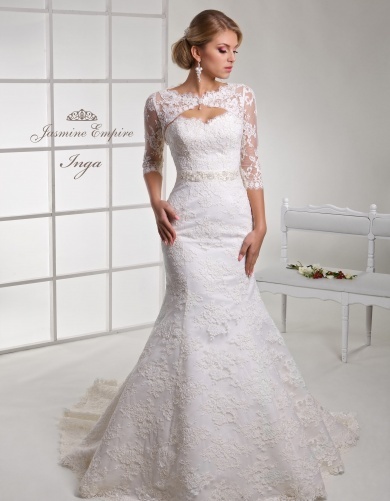 Corset A-line wedding dress of lace with the lace-up back. 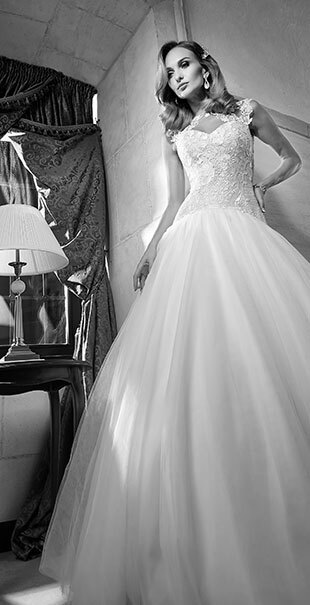 The basic raw materials are royal atlas, English tulle, satin taffeta, lace and dotted tulle. 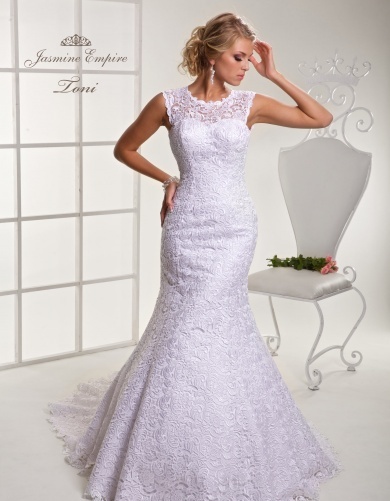 A wedding dress with a lush style will elegantly emphasize the celebration. 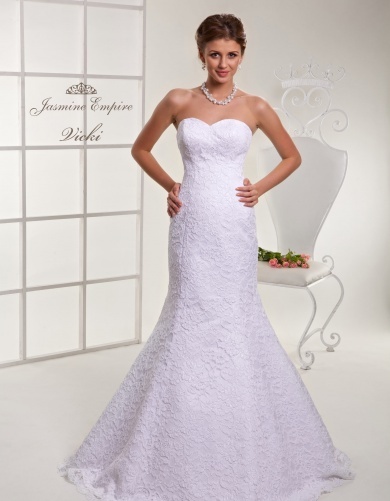 Delicate French lace on the bodice and skirt will give fabulousness to your image.